FADED red ribbons were among the hundreds of cards Bruce and Denise Morcombe received after their beloved Daniel was finally laid to rest last year. They were precious gifts from locals who joined the letterbox campaign started by the Sunshine Coast Daily in December 2003 to ensure Daniel was not forgotten. This year will mark 10 years since Daniel was allegedly abducted and murdered. As the annual Dance for Daniel heard last weekend, the past two years have been a 'blur' for Bruce and Denise. But their determination to make a difference is beyond doubt. The most important milestone, of course, was Daniel coming home to family after 8 years, 11 months and 24 days. The Morcombes were overwhelmed by the help of so many to ensure a public memorial and private burial could be achieved just a week after Daniel's remains were released. "For our family it was a special day. One we will never forget,'' Bruce said. "Undoubtedly, it was a special day for many others too. "We received hundreds of cards and some contained a special memento. "Several contained the now faded red ribbon from their letterbox, on display as a reminder that Daniel's search would never be complete until he was found; a campaign driven by the Sunshine Coast Daily which started in December 2003. To assist family members of missing persons particularly where that involves children. Now in its sixth year of operation, the foundation is being recognised nationally for its work. The Foundation Red child safety DVD won best educational resource during the 2011 Child Protection Week awards. It was also recently recognised at the Australian Crime and Violence Prevention Awards 2012. In total over 35,000 copies of the DVD have been distributed. 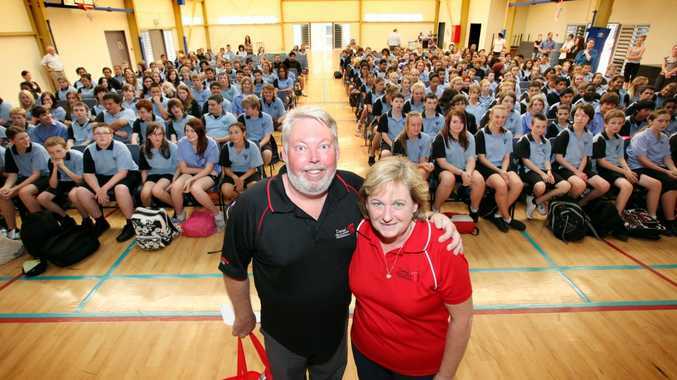 Bruce and Denise were made Ambassadors for Child Safety in Queensland in September 201 for a two year period. Premier Campbell Newman and Education Minister John-Paul Langbroek have now extended their contract. The Morcombes say their most significant achievement came late last year with the launch of phase 1 of the Daniel Morcombe Child Safety Curriculum. With partners Education Queensland, it is designed as a teaching aid for Prep to Year 2 students in all Queensland State, Catholic and Independent schools. A month ago saw the release of Phase 2 which covers Year 3 to 6 students. The final phase for students in Years 7 - 9 is expected to be launched mid-year. The couple personally spoke to students at 150 schools and 80 community events last year. 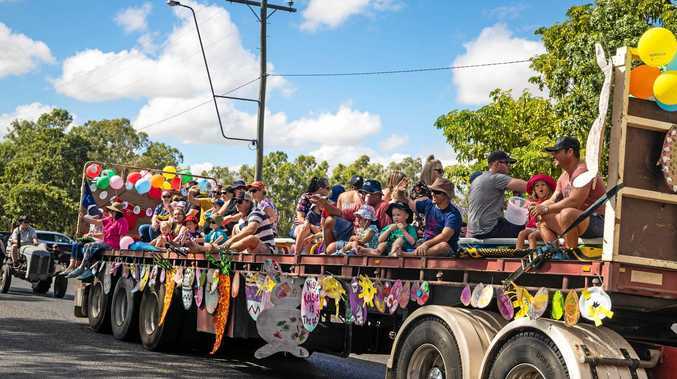 This year, they are planning a 55-day 'Around Australia' drive in their education truck Big Red to promote National Child Protection Week. It will take in outback towns as well as capital cities. They will return just in time for the Sunshine Coast Walk for Daniel at Palmwoods. The foundation has also teamed up with Bravehearts to launch a new counselling service. "Supporting young victims of crime is a very rewarding part of our community efforts,'' Denise said. Later this year, the couple will launch 'Orbit', an animated interactive computer game teaching children about predators and body ownership. Already, the foundation's Help Me iPhone app has been downloaded by almost 20,000. Fired Up was a fitting song for the montage of images showing that Daniel's legacy is indeed living on.